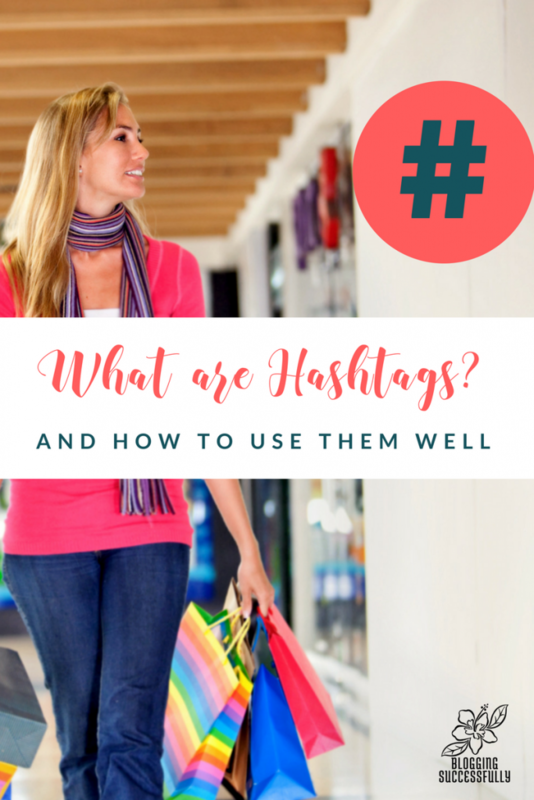 If you're new to the social media world of Instagram or Twitter, you may be wondering “What are hashtags?” To you it is the “pound” sign on the old push button phones. Not any more. The hashtag (#) sign in front of a word when used on Instagram or Twitter becomes an instant, clickable, searchable filing system or index of content. It's brilliant, really. 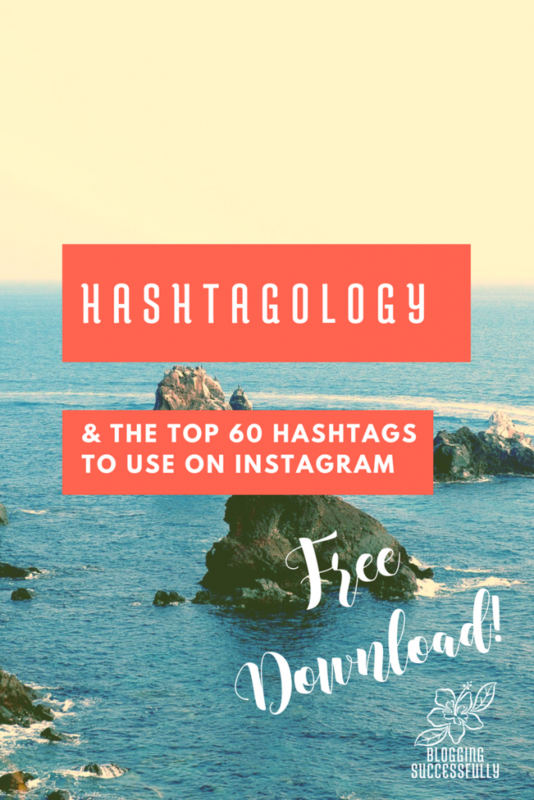 Keep reading to see how it works and get a list of the top 60 hashtags to use on Instagram. For instance, if you search “#bloggingsuccessfully” on Instagram or Twitter, any content that has been tagged with that hashtag and term will show up in your search, both profile descriptions and posts. Twitter content that contains hashtags also gets pulled into Google's search engines, increasing exposure for your content. When you search a hashtag on one of those platforms, you can identify others who are “your people”, who are interested in the same topic and begin to form a community around the topic. Many use them in Twitter Parties or Twitter Chats as well to converse in an instant message type public discussion about a certain topic. See @MadalynSklar‘s list of weekly marketing Twitter Chat's here. Liking, sharing, retweeting, reposting, commenting, replying to their posts with the target hashtag will begin to build a relationship with the people behind those accounts and when they engage with you, it works inside of the platform's algorithm to increase the general exposure for your account and get you seen by even more people. Hashtags are back on Pinterest. Pinterest played with them for a bit in 2015/16 and decided they didn't like using them, but as of 2018, they're back! Do not use them on Facebook UNLESS it's purely for searchable reasons or a sponsor requires it. It can also tank your reach. If you are required to use it consider editing your post to add the hashtag after it's been live a few hours, so you get the best chance of exposure first. DO use hashtags on Twitter, 2-3 at the most per tweet and be sure they are highly relevant. See this post for how to research relevant hashtags. DO use hashtags on Instagram. Instagram allows up to 30 hashtags per post, and it's recommended to use at least between 5-11 of the MOST relevant. You will have best success when adding the hashtag to the initial post or immediately after posting, comment with your hashtag list. Hashtags added in after posting, may or may not be filed. Don't always use the most popular hashtags. Some hashtags have been used upwards of 5 million times! If you add one photo or tweet to that list your chances of being seen are slim to none. However, if you choose a hashtag with a few thousand uses, statistically, you have more of a chance of being discovered by those who also use or follow that hashtag. If your post has to do with a brand or location, be sure to include the brand/location hashtag(s). Don't forget to follow us on Instagram, and grab our FREE list of top 60 hashtags to use on Instagram! Here are some other posts that you'll find helpful.